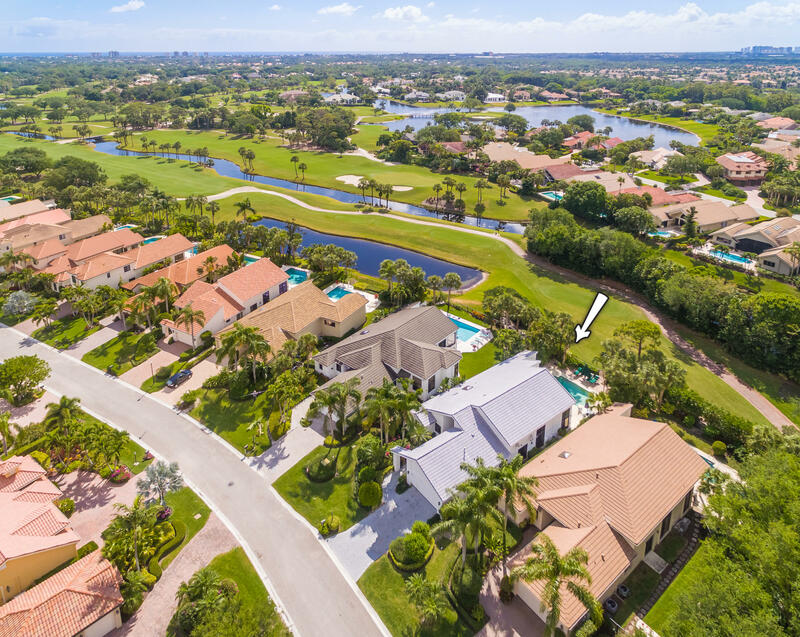 Magnificent water and golf views surround this bright & spacious, wide-open, 3BR/41/2BA pool home located on the South Course in the exclusive, private community of Frenchman's Creek. This beautiful contemporary patio home is flooded in natural light and is situated near the clubhouse and fitness center. It features soaring vaulted ceilings, Saltillo tile flooring, wall-to-wall sliding glass doors with clerestory windows, an impressive custom front door, recessed lighting, an open-concept gourmet kitchen with white cabinets, stainless steel appliances, and a breakfast bar, a huge master suite with a sitting area, 2 master baths, and access to the expansive patio and pool. The back yard is fenced in and surrounded by meticulously kept lush landscaping and overlooks the golf course.